The Falls Events Center has been on our roster since the inception of the North American division. We first collaborated on the Elk Grove location and the rest is history! 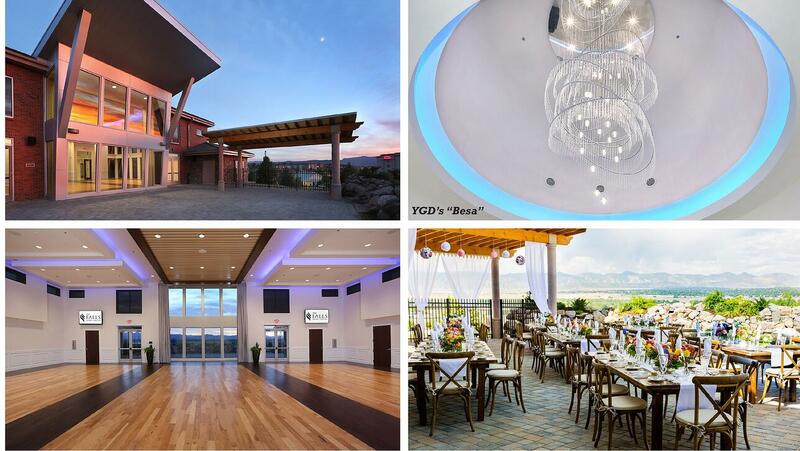 Year after year, we fall deeper in love with their passion, design approach and commitment to providing the very best in event center venues across the states. They strive to provide their clients with the best…as do we. Great minds think alike! This past summer, we flew out to the newly opened Littleton venue located just outside of Denver, Colorado. Let me paint the picture: clean, architectural lines; an impeccable landscape overlooking the Rocky Mountains; warm wood flooring and beam ceiling details; and…you guessed it…YGD’s sparkling “Besa” crystal chandelier in the entry. Another perk: the talent behind the brand. The energetic group create an experience within the space to host the perfect wedding, celebration or corporate event. 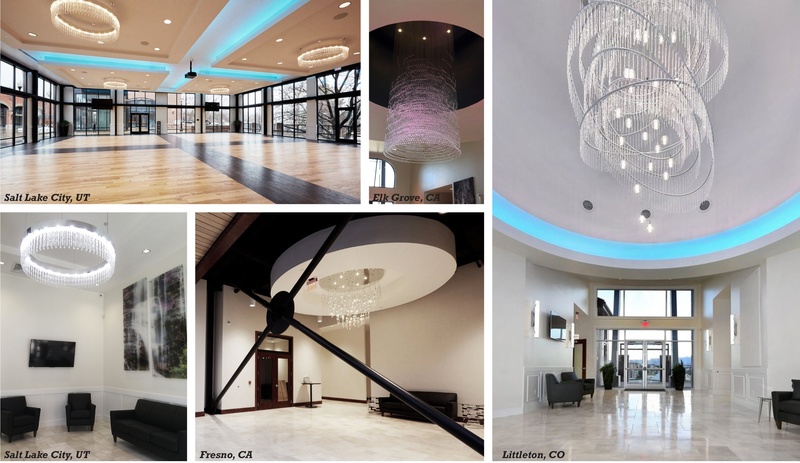 The team at The Falls Event Center strives to make each property elegant, spacious and outfitted with the most innovative technology, flexibility and an open vendor policy (byob!). The Littleton property features a reception space, bridal dressing room, a groom’s game room, two patios, a large/small conference room, etc. Talk about flexibility! We are honored to be included in these special spaces where so much love is celebrated (we also dig the photo opps with our designs featured!). Beauty all around…doesn’t get better than that. Take a chance on this wonderful brand and host your next event with The Falls Events Center…we promise you will fall(s) in love! Note: shown below is YGD's Alba, Day 7 and Silver Rain.